Created in 2011, Cookut is a French brand that designs and manufactures table and kitchen products. 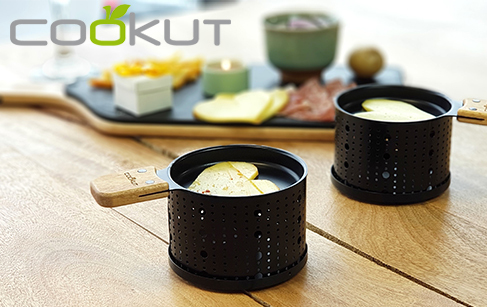 Classics reinterpreted with style or true innovations like the non-electric raclette machine, Cookut’s creations reflect a prodigious dynamic to make the culinary experience even more enjoyable. Already present in more than 20 countries, Cookut embodies a cooking concept that’s young, green, relevant and fun!